A few days ago, I was sitting at my desk working when I felt something cold touch my bare foot. Since I knew a cat was in the room, and the sensation felt just like a cat’s cold nose, I was one-hundred percent sure, when I glanced down at my foot, that I would see the cat there. But when I looked down, I saw that one of the straps of my messenger bag had come undone and was dangling from an adjacent chair, the metal attachment piece level with my foot. I looked across the room: the cat was sound asleep in its bed. This is an example of how the brain continually generates models of the world around it in order to predict the most plausible explanation for what’s happening in each moment. Cognitive psychologists call this process predictive coding, and they now believe it can account for most of what’s going on in the brain. The problem is, the brain sometimes gets it wrong, and this discrepancy can result in everything from mild cognitive dissonance to learning disorders to anxiety and depression. Let’s take a look at how predictive coding works and why it’s being considered a “grand unified theory of cognition” in many scientific circles. The long-standing classical view of perception maintains that we experience the world in three steps: 1) receive input from our environment; 2) process input in higher levels of brain; 3) respond to input accordingly. But an alternative theory has been gaining ground as a more accurate explanation for what’s going on: not only does information flow from our senses to our higher faculties, but those higher faculties often “predict” the input from our environment, thereby influencing our perception of it, before we actually sense it. This is called predictive processing, or predictive coding. The purpose of predictive coding is to help us organize our experience of the world as efficiently as possible. Otherwise, life would be a bit of a struggle. Imagine if every time you looked at a tree, it was as if you were seeing a tree for the first time, or couldn’t simply categorize bark as bark but were constantly in awe of the different texture and color of each tree trunk or branch you saw while walking through a forest. Our predictive brains help us see trees as trees, hardly without even looking at them, so that we can quickly put that “old” or “irrelevant” information into a box and move on. A good comparison would be the way a computer stores video files, which contain enough redundancy from one frame to the next that it’s more efficient to encode the differences between adjacent frames and then work backward to interpret the entire video than to encode every pixel in every image when compressing the data. Although we may think we have really “looked at” the trees around us, we don’t truly see them unless we make a point of paying more attention. For all intents and purposes, the trees are just perceptive models generated by the brain until we really look at them. Even when we do take a closer look, what we perceive is heavily influenced by what we expect to see. And sometimes what we expect to see may not represent the full picture. That’s why the best evidence for the predictive coding model can be found in cases where the brain predicts too much or too little. Individuals with autism would presumably have a weak predictive filter, meaning they have a harder time categorizing trees as trees and moving on. Instead, they get caught up in the texture of the bark. This would explain their extreme sensitivity to input from the environment: Everything is surprising and new, which can be overwhelming. On the other end of the spectrum is schizophrenia, which reflects an overly strong predictive filter: If your brain is too certain about what it’s looking at, it will override new information with its own beliefs and create false perceptions (read: hallucinations). Most of us are somewhere in the middle of the spectrum. That is, unless we do (or take) something to change our brain chemistry. Why Does Predictive Coding Matter? 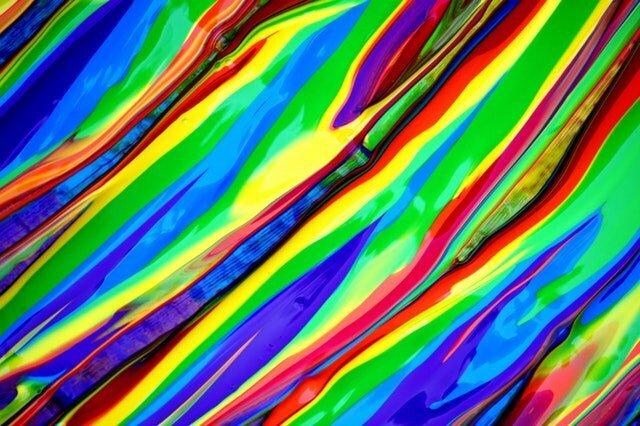 Research on psychedelic substances offers some of the best confirmation for the predictive coding theory. Instead of increasing brain activity, substances like psilocybin and LSD remove the predictive filter which normally influences our perception of daily life. When we’re no longer predicting or “explaining away” those trees, we’re suddenly able to consider alternative perceptions of them. The leafy branches undulate like octopus arms and the bark looks delightfully crunchy not because the drugs have added anything to our perception of reality but because they have removed a very narrow filter that’s normally there. They literally allow us to see other equally real possibilities. If you think about it this way, the cognitive dissonance I experienced when I realized the cat was across the room could be considered a kind of trip: my brain generated a “prediction error” the same way it would if I’d been hallucinating on magic mushrooms. It’s equally “trippy” when you have been wearing eye glasses for a while and reach up to adjust their position on your nose only to remember you put contacts in several hours ago, or when you’ve tricked your brain to falsely associate visual and tactile cues as in this rubber hand illusion. In fact, studies have shown that people with Charles Bonnet Syndrome (partial retinal blindness) will start to see shapes and faces where there are none because that predictive mechanism wants to fill in the missing details to make sense of the world. The number of hallucinations even increased or decreased according to how much light was in the room during the study. There’s little difference between these perceptual phenomena and what’s happening under the influence of psychedelics; it’s all about the contrast between what you expect to see and what you actually see. So why does any of this matter? What does it change? The short answer is, a lot. The above examples are all very neutral, but when deeper aspects of life like your sense of self or your perception of other people become involved, that contrast or “prediction error” can be a highly emotional experience. For example, the concept of seeing other possibilities is extremely useful when it comes to psychotherapy. Neuroscientists now have reason to believe that psychedelics work to treat conditions like depression and anxiety by influencing the mechanics of predictive coding in this way. One theory is that they stop us from habitually and rigidly predicting future scenarios (anxiety) and future selves (depression), instead opening our minds up to alternative ways of perceiving the situation. Neuroscientists think this loop is broken when you introduce a drug like psilocybin or ketamine to the system, which results in higher connectivity of the DMN with other brain areas, meaning the patient finally has the cognitive flexibility to think of other, non-depressing things. Predictive coding also has important implications for learning and memory. First, it sheds light on an interesting Catch-22: In order to learn new things, the predictive mechanism must be reduced to some extent, but in order to retain new information and use it in the future, we need to generate a predictive model of that information. Somewhere in between, in a delicate balance of these two processes, lies optimal learning and memory. Research on predictive coding and working memory capacity provides some good insight into how this might operate. As the current theory has it, when working memory capacity starts to break down, it’s not because our brain gets “too full”; it’s because we can no longer efficiently predict and categorize incoming information. The burning question, then, is this: If we can train our brains to better categorize information before we receive it, can we enhance working memory capacity? In the same breath, can we learn more by reducing our urge to predict and categorize the information around us so quickly? Does “openness” or “open-mindedness” lead to greater learning because it prevents us from putting information in a box and moving on, and lets us linger and see things from different perspectives, leading to deeper and more complex observation? The underlying theme here is balancing possibilities with prediction. Can we teach ourselves how to do this in the context of various mental processes and states of mind such as learning, memory, anxiety, and depression? One big first step in this experiment is to change the language we use: To what extent do we “predict” ourselves and the people around us, and how does that affect our happiness and success in the world? What can we do to increase our perception of “possibility,” to introduce awe and surprise into our lives, whether it’s shaking up our routine with more travel or meditating on a more desirable state of mind? It’s an exciting time to stay abreast of trends in neuroscience and cognitive psychology. We’ll be featuring more posts on this topic in the near future, so stay tuned. I found this article to be very understandable and enlightening. I work in social services and feel an increased understanding of this information is needed. I am currently working with local government agencies and our community college to increase awareness and look at current processes for individuals who are experiencing challenges in education. I would enjoy receiving more information I saw this article on the open colleges edu website. Its a really good article and explains predictive coding in its true form. I would suggest her to write and article on convergence divergence zone (original work by Antonio Damasio). I am a PhD student working on visual perception and memory at National Brain Research Centre, Manesar, India. I wish to see more of such beautiful articles . Fascinating. I had not thought much about the different predictive uses of gist and detailed memories, but what you say seems correct. Gist memories represent a greater degree of compression in terms of concepts, and so are more useful when using those concepts to make perceptual predictions. Of course that would also make them even more susceptible to alteration when conceptual networks themselves are altered. I wonder if you could point me to any good research on the differences in how gist and detailed memories are used in prediction.